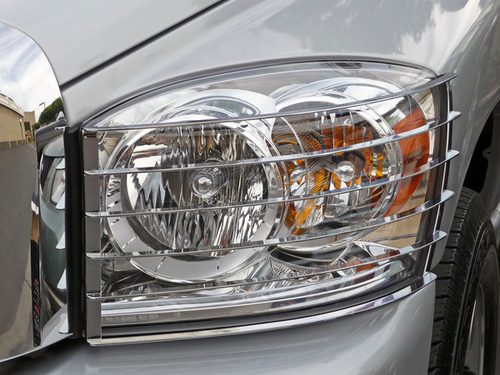 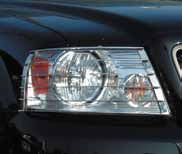 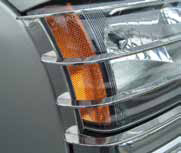 Headlight Insert Guards-Chrome Stainless SteelOur Patented "Rock-Shock" mounting system helps provide suspension/dampening from rocks and debris, that also helps protect the headlight or taillight lens. 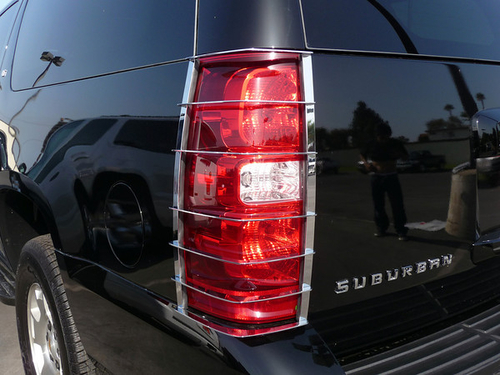 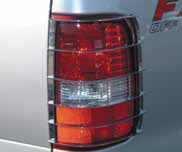 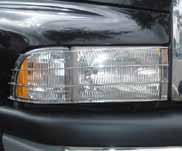 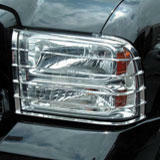 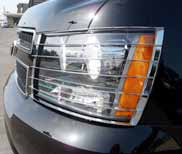 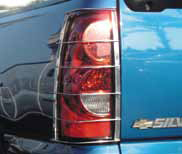 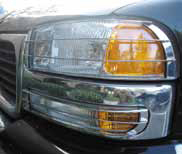 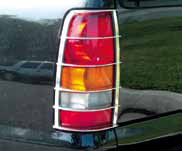 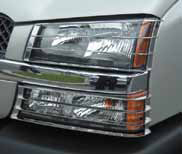 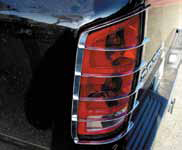 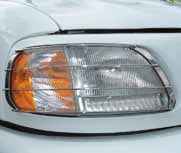 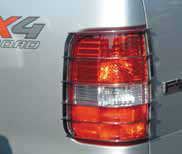 The louver design insures maximum visability and reflectivity(unlike most tubular style guards). 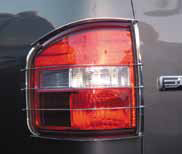 Very attractive look for restyling which also provides protection. 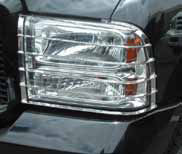 Made of High Quality 304 Grade Stainless Steel to ensure a long tough life. 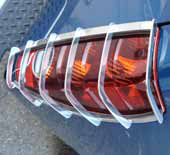 Easy insert/mounting instalation - NO DRILLING or brackets arequired. 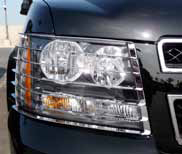 Available for GM, Dodge, and Ford trucks and SUVs.